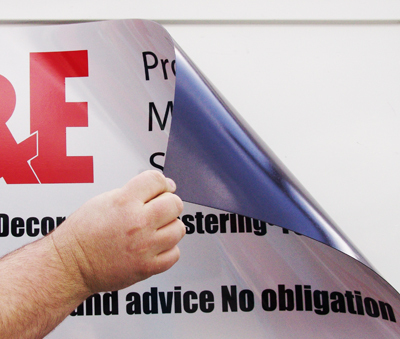 Magnetics are a versatile sign option that are ideal for any temporary vehicle signage. material with excellent magnetic bonding to clean and dry metal surfaces. The options shown can be personalised with your business details and are sold in pairs. Ideal for all non-permanent promotions and for use by those tradesmen that only operate on a sub-contractor basis. These flexible magnetics will work faultlessly if cared for correctly and stored flat and protected when off the vehicle. They are not recommended for motorway driving but are excellent for town driving and for static vehicles "parked up on job". Size limitations due to the weight of the material apply. Please contact us with your magnetic sign enquiry. *Price dependent upon artwork supplied.